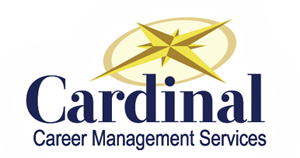 Specialists in industrial psychology and career management. André Filion & Associates provide guidance to executives and company management in judiciously choosing and growing its key personnel, in strategically handling all forms of career management and transition issues, and in improving the overall quality of its human resources management. Find out more about how André Filion & Associates can help your organization and your people. Lumina Learning creates innovative psychometrics and possesses a global network of practitioners who specialise in organisational change and long-term improvement. By taking a humanistic approach and viewing people as “human beings” rather than “human doings” Lumina Learning practitioners can help organisations transform their performance by transforming their people. ProMotion Career Solutions support their clients to break the cycle of moving from mediocre job to mediocre job. They lead people through goal setting exercises and motivate them to career fulfillment. At Promotion they believe a career at rest will stay at rest and a career in motion will stay in motion. Whether you’re looking for resume writing, job search strategies, interview coaching, or exploring career options, services at Promotion Career Solutions are tailored to your specific needs to move you forward in your career! Learn more about keeping your career in motion. Challenge Factory is Canada’s leader in Talent solutions that address the aging workforce. Their approach identifies and addresses the needs of Canada’s workers aged 50+. Their solutions ensure all generations adjust to the new career realities and that their client organizations capitalize on the change for real business benefit. Dr. Jill Greenbaum is a nationally known coach who supports teens in facing the daunting college search and selection process. Her coaching program, How to Major in You and Find the Right College, helps students move from anxious and overwhelmed to confident and successful. She is a popular speaker in local high schools, and regional, and national conferences. SparkPath helps young people discover their true potential and choose the college program that leads to an extraordinary career. Each participant benefits from a customized, one-on-one program developed and delivered by JP Michel. Students who leave high school prepared, focused, and motivated are more likely to graduate college and find meaningful work in their chosen field. 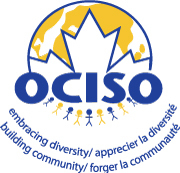 OSICO has been providing comprehensive settlement and integration services to the Ottawa community since 1978. Their Career Mentoring program assists internationally trained professionals to engage in a strategic employment search, develop their professional networks, and learn about Canadian working culture.